Shopping and eating are our ways to fight stress from everyday workloads. Like living in the Philippines, I can say that those are some Filipino ways to enjoy and have a great time in their life. We call it anti-stress hobbies, like buying new clothes and shoes, eating and drinking in a fancy restaurant or coffee shops we pass by. And since it's an anti-stress hobby, we also check if its not to much or very expensive, so we choose establishments that offers promos and rewards. Loyalty Rewards points are very common to those people who regularly buy things and/or food in an establishment. Regular customers who is called 'Suki' can get Loyalty cards which accumulate points whenever they buy or purchase products from them. With so many establishment, malls and restaurant built here in our country, one person can get so many Loyalty 'Cards' which may and will overload one's wallet. In my experience, I can't bring all the loyalty cards I have because of the inconvenience of a thick bumpy wallet in my bag or pocket. With this, I found a solution that we Filipinos can grab this opportunity to have this amazing application with extra ordinary virtual currency that you can use in all kinds of supported brands. The AppSolutely's idea of combining Loyalty Rewards programs from different establishment and unifying them through virtual currency called 'LoyalCoin,' with the used of the blockchain technology it will give both people and the establishment more growth and performance. For people, they can now use the loyalty programs easily without confusions as Appsolutely stated in their "White Paper", that they have eliminated "the customer loyalty programs’ limitations we currently encounter, such as public confusion about the different mechanics of each loyalty program, difficulties in points exchange, lack of user engagement, and more. Removing these problems will accelerate the formation of a more cohesive, cooperative, and competitive customer loyalty industry." For the establishment, they can have a positive increase in the movement of sales since people (costumer) will now have a full understanding of the loyalty programs they are offering. As of writing this post, The LoyalCoin pre-sale started last November 10, 2017 then the ICO aka 'TGE' the Token Generation Event is slated to start on December 11, 2017 and it will end on February 10, 2018. 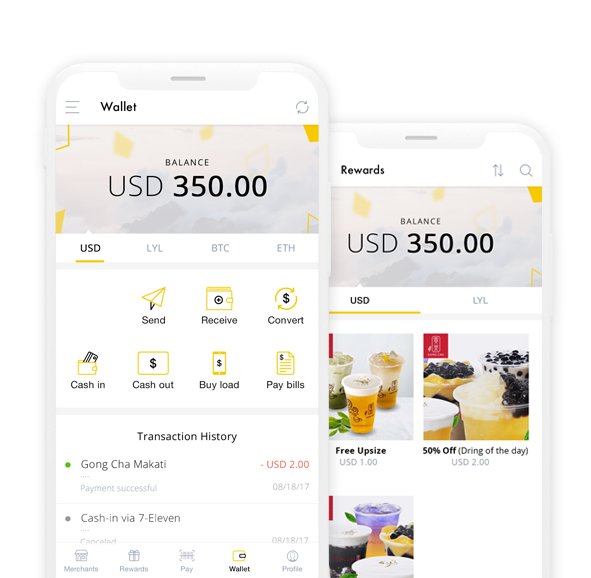 By the way, AppSolutely, Inc. is the company behind this fantastic Filipino made crypto currency and they are currently partnered with big time clients in the Philippines such as Bench, Starbucks Philippines, Petron, Bonchon, TGI Fridays, Gong CHA and many more to come. So if you're looking for a good and quality background of a 'virtual' or 'crypto' coins/currency, well look no more because here it is, the LoyalCoin - All Loyalty Rewards points in one Virtual Currency. 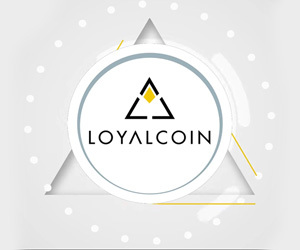 Comments or suggestions about "LoyalCoin : All Loyalty Rewards points in one Virtual Currency" is important to us, you may share it by using the comment box below.